For the fifth consecutive season, the Texas League will be celebrating Mike Coolbaugh Day in all of its clubs’ ballparks during the week of July 22, 2018 so that Texas League players and fans can celebrate Mike’s life and legacy in baseball. Mike Coolbaugh Day ceremonies in each Texas League city will feature a special video presentation and first pitch, and all on-field personnel will wear commemorative wristbands. 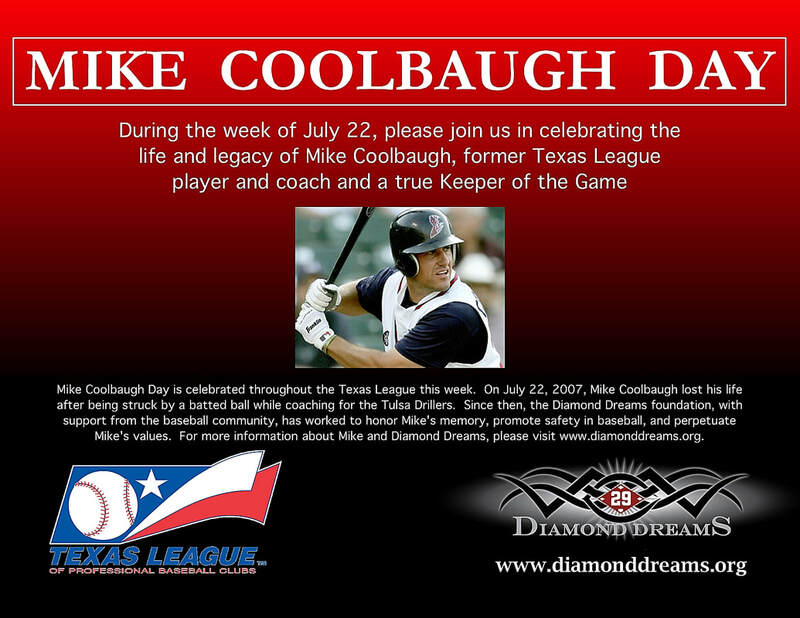 We invite everyone to make it out to a Texas League game for Mike Coolbaugh Day this summer!